Hitman is about experiencing the anticipation of seeing whether a plan will work when you try it for the first time. It's about feeling the tension of briskly walking away from a bad situation, hoping you can lose the suspicious guards. It's the satisfaction of knowing the machinations of a level so well that when a target moves into a particular place at a particular time, you have the perfect way to intervene. Hitman 2 is a familiar experience, but in the Hitman world, familiarity is an incredible strength. He now has more options at his disposal than ever before. 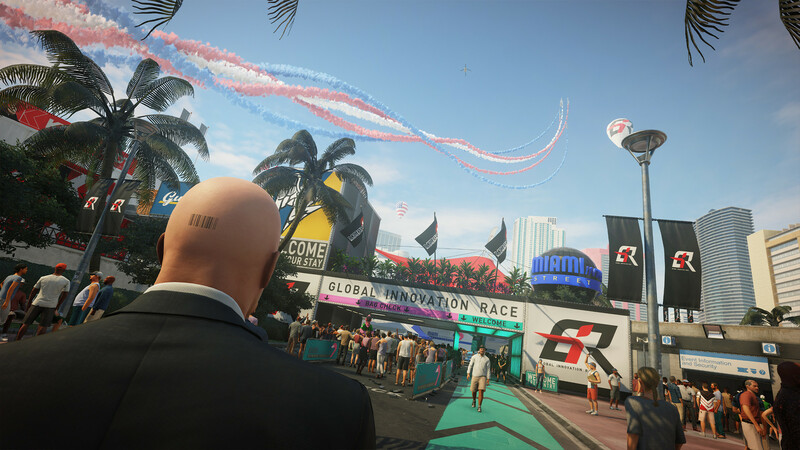 Meanwhile, multiple multiplayer options provide for some unique ways to cooperate, and compete, with players, which will no doubt extend the replayability of Hitman 2 for quite some time. IO Interactive has taken what worked well last time around, and produced an even more impressive and robust assassin’s playground. Levels are gorgeous and brimming with choices. Strong gameplay mechanics. New mechanical additions work well. New modes are fun and add variety. Systems balances allowing you to explore with creating a believable world. Elusive Targets are back. Silly, campy story. 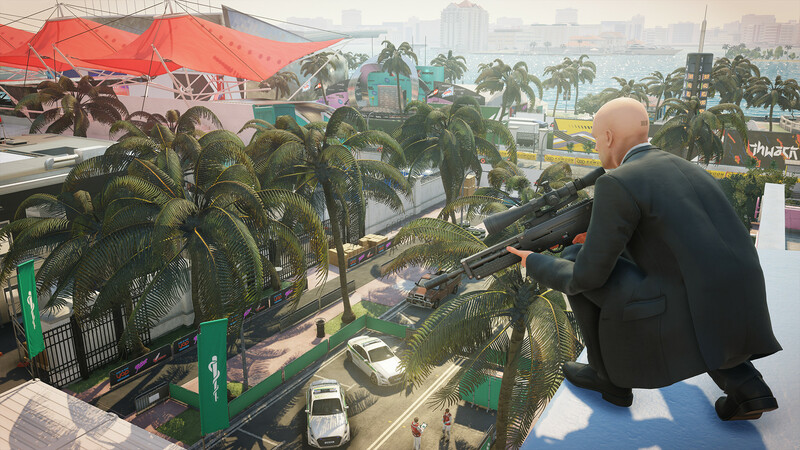 Hitman 2 is an excellent sequel full of opportunities that combines the best aspects of its predecessor with strong new additions to put 47's abilities to the test. 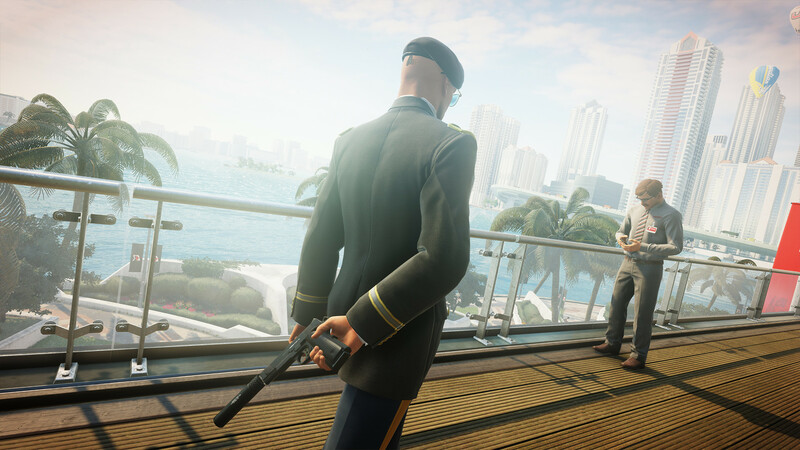 All in all, Hitman 2 doesn’t break too much new ground for the series, for in many respects it can be viewed as Hitman: Season Two. Nevertheless, IO Interactive has brought a bevy of remarkable updates to the table that make the sequel a worthy successor to the game that came before it. The developer's uncertain future under Square Enix made a fair number of headlines a while back, before IO went independent and became the sole master of Agent 47's destiny. The fact that Hitman 2 turned out as well as it did in spite of that business turmoil is a great sign for the future of the franchise, and we should all be fortunate enough to get to play another one of these games a couple of years from now. Hitman 2 is for people who liked the episodic Hitman and wanted to see maps that were more even and consistent, have access to additional equipment for Agent 47, and generally get more of what they wanted. It does have some issues where it can feel disjointed, but this is really most noticeable in the campaign and will not be an issue for folks who want to take on contracts, hunt down Elusive Targets, complete challenges, and learn everything they need to know about each of the locations in the game. The new levels themselves are massive and will take hours of trial and error to work through the numerous difficulties and mastery challenges. Hitman 2 is the series at its very best — players can play with a razor sharp edge and cut surgically through a level or take a blunt approach and make hilariously bad decisions and deal with the brutal outcome. There aren’t any missions that could dethrone the top 3 of Hitman Season 1, but instead what we get is a solid assortment that will leave you wanting more. We may not get as many highs, but at least we get fewer lows. It’s also a shame that this is still bogged down with online connectivity requirements, something that’s to the game’s detriment. Even with its share of issues, Hitman 2 hits it mark, creating an addictive, overly-ambitious sequel. Hitman 2 is a colossal collection of puzzles begging to be solved through multiple playthroughs. It's meticulous in its scoring system, objectives, and unlocks. Even though this would have worked perfectly as a "season two" for the original Hitman, the need for a new package is perfectly understandable given their situation. 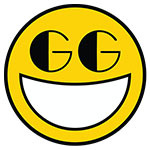 The game encourages players to “master” each level, complete challenges, do all the story missions, and come with new ways to approach these situations. 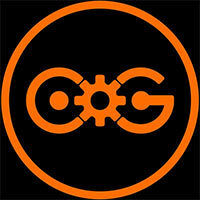 You are rewarded with new starting points, items, and other useful trinkets and perks. Unlike most games that are dense with content, I actually want to take advantage of it all, rather than quickly getting through the story through brute force and never stopping to smell the roses like I do in many open-world games currently on the market. So, if you’re a fan of HITMAN and want more of the same (and can afford it), I can highly recommend HITMAN 2. It looks great and there’s tons of fun murder to commit, with more to come as IO Interactive builds on it. I do wish it didn’t have such a high price to get the full game, but at least there aren’t any microtransactions. In many ways, Hitman 2 is the stealth game at its most refined. It doesn’t do too much to improve on its predecessor or the Hitman formula in general, choosing to instead emphasis the features and elements that always made the series great before showing them off through some of the best and most intricately constructed maps the series has seen so far. It’ll surely take you tens of hours to fulfil every scenario, don every disguise, and pull off every creative kill. Sure, it refrains from offering any major surprises or gameplay-changing innovations. And as with Hitman games of yore, plenty of gamers will find that they lack the requisite patience to find the act of playing it particularly enjoyable. Hitman 2 preaches to the converted, but it does so in a well-honed and very moreish manner. The addition of a sniper mission and multiplayer certainly enhances the overall package, but the core gameplay needs to take more significant steps forward in the next game if the franchise is going to avoid stagnation. That said, if the thought of more of the same signature Hitman gameplay is appealing to you, then know that 47's latest outing is a good one, and with fresh content set to land in the weeks and months following launch, the chances are it's only going to get better. Huge amount of options for dispatching targets. Massive stunning levels. High replayability. So many ways to tackle any situation. Hitman 2 stays true to the series foundations, while also building on the core systems that make its unique stealth gameplay peerless. Some minor story stumbles do little to hold the game back from being the most refined entry in the series to date. La inclusión de un mayor número de NPCs puede jugar a nuestro favor para ocultarnos del entorno y también se convierte en un mayor número de disfraces (lo sentimos, Mortadelo) y posibilidades para acabar con nuestros objetivos de las formas más ingeniosas y aún así picarnos para conseguir hacerlo mejor en una segunda pasada. Un título extremadamente rejugable en el que el ensayo y error nos puede llevar a consecuencias inesperadas. Tras jugar a Hitman uno recuerda porque los niveles de un videojuego deberían parecerse en la medida de lo posible a un laberinto, esa sensación de exploración y descubrimiento constante que tan pocas experiencias modernas consiguen aportarnos. Cualquiera que ame al videojuego como tal, sin adornos ni abalorios, se debe a si mismo probar esta nueva joya de nuestro medio. Hitman 2 es indispensable. Repito, me hubiera encantado que al menos un poco, el estudio desarrollador hubiera tomado algunos riesgos con el objetivo de hacer más relevante al famoso asesino calvo. Definitivamente me preocupa el desempeño comercial que este título vaya a tener, pues podríamos apostar a que si sus ventas no son medianamente decentes, difícilmente alguien se volvería a arriesgar a poner dinero para otra entrega. Quizá se le puede culpar de no haber justificado lo suficiente la existencia de un nuevo juego a precio completo cuando sus partes podrían encajar perfectamente en la plataforma que pretendía ser el primer juego. Pero lo incuestionable es que si una segunda temporada debe ser lo mismo pero más y mejor, en este caso el principio se cumple a rajatabla. Pese a la ausencia de novedades destacables, Hitman 2 contentará a los fans del estilo de juego meticuloso habitual de la saga. Con más acción, más sigilo y más asesinatos tremendamente originales que nunca, el Agente 47 demuestra que sigue muy en forma. Schade auch, dass die Story zwar deutlich an Fahrt aufnimmt und interessanter ist als im Vorgänger, aber nur mäßig inszeniert wird. Zudem endet die Kampagne wieder mit offenen Fragen, auf die hoffentlich eine bereits abgesegnete Fortsetzung die nötigen Antworten liefert. Denn wenn IO weiterhin so toll designte Schauplätze abliefert und in Zukunft noch die eine oder andere KI- und Skript-Macke beseitigt, darf Hitman 3 gerne kommen. Si vous n'aimez pas trébucher et que l'offre ne vous convenait déjà pas auparavant, pas besoin de creuser. Hitman 2 se montre généreux et accrocheur avec ceux qui le souhaitent, quand bien même, en dehors d'un contenu toujours plus lourd et de niveaux toujours plus beaux et travaillés, on risque de tiquer sur l'absence de grande nouveauté de gameplay. 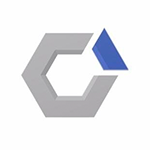 Un sacré coup de frayeur pour beaucoup de monde, qui pensait ne jamais voir la couleur de la deuxième saison dont la réalisation a bien failli avoir raison du studio affaibli par des chiffres de vente assez peu reluisants. Mais il faut croire que le tueur au code-barres n'est pas tout à fait prêt à ranger les Silverballer. En bon agent secret, il a fait ce que font les espions lorsqu'ils sont compromis : il a changé de costume. Et ça tombe bien, c'est justement sa spécialité. La sonnette d’alarme n’est pas encore tirée – ne nous le cachons pas, la formule s’avère encore une fois terriblement savoureuse – mais le studio danois va devoir réfléchir sérieusement à un avenir plus frais pour justifier un prix plein pot en magasin. HITMAN 2 n’en reste pas moins une aventure assassine réellement complète dans sa liberté de jeu, dont les meurtres aboutissants relèvent d’une jubilation animale et primitive que l’on se plait à redécouvrir. Hitman 2 conserve toute l’efficacité d’un concept qui a fait ses preuves, gomme plusieurs défauts de l’épisode précédent et fourmille de contenus en intégrant un mode multijoueur ainsi qu’un éditeur de mission. Le manque de nervosité des combats, les failles de l’I.A et le scénario prétexte nous paraissent anecdotiques face à la générosité et la précision de cette simulation de tueur à gages. O ritmo lento e deliberadamente estratégico não será do agrado de todos os jogadores, mas é sem dúvida o melhor jogo de assassinatos que me recordo, com maior valor de repetição certamente, e que chega ao ponto de nos fazer reconsiderar os nossos métodos, pelo peso que é capaz de provocar na nossa consciência. 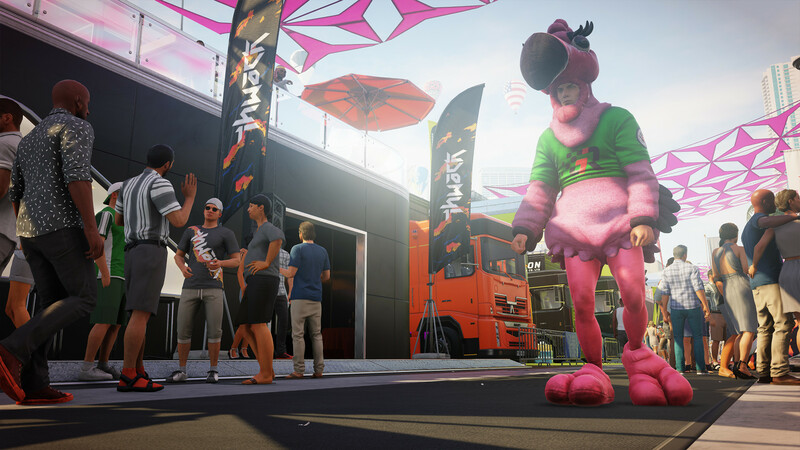 Hitman 2 è esattamente ciò che ci aspettavamo: un titolo profondo e sfaccettato, che non rivoluziona in alcun modo la recente connotazione del franchise ma si diverte a testare i limiti del genere stealth e pone la rigiocabilità delle missioni, con tutto ciò che ne consegue in termini di achievement e situazioni, come un ingrediente fondamentale e imprescindibile dell'esperienza. 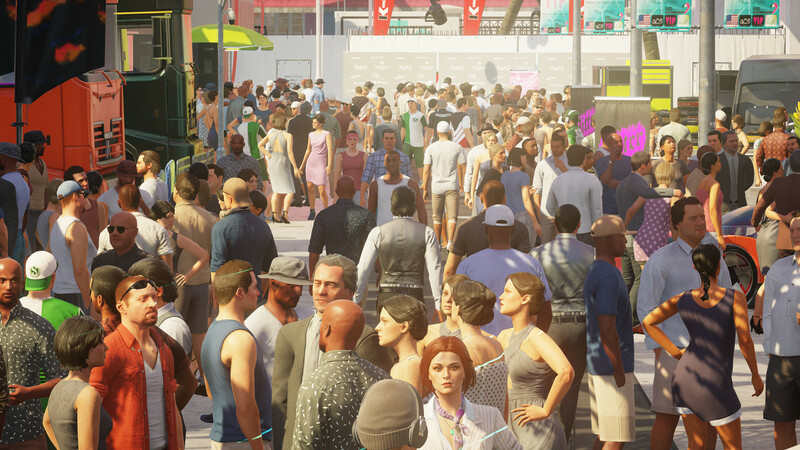 Hitman 2 basa quindi ancora una volta il proprio successo sul giocatore singolo grazie alla campagna, trovando il corretto equilibrio tra grande e funzionale nonostante alcune imprecisioni a volte nei suggerimenti, ma le altre modalità lasciano l'amaro in bocca. Non ci rimane che aspettare i nuovi "Bersagli Elusivi" iniziando dal morto per antonomasia: Sean Bean. Senza snaturare l’offerta dell’Agente 47 e pur con qualche difetto tecnico e una prima mappa non all’altezza delle altre, il nuovo sforzo creativo di IO Interactive vi propone tante ore di contenuti tutti nuovi e da scoprire, che non lesinano chicche da non perdere a chi segue la saga da tanto tempo e che sapranno stimolare il pelatissimo sicario virtuale che è in voi. При этом и вы, и соперник находитесь в параллельных измерениях — видите только силуэты друг друга. В подробностях о Ghost Mode мы уже писали в отдельном материале, с тех пор там мало что изменилось. Противников в онлайне, правда, найти довольно тяжело — порой на это уходит минуты по четыре. Ну, хоть с друзьями можно играть. Давно вы вообще в Hitman с друзьями играли? Здорово же! İçerik yönünden parasının karşılığını veren bir yapım. Ancak hikaye anlatımına önem veriyorsanız, Hitman 2, bu konuda size bir şey vaat etmiyor. Konsollarda ve PC’de 60 FPS’de çalışan Hitman 2, teknik yönden de başarılı bir oyun. Animasyon ve grafik konusunda çağın biraz gerisinde gözükse Hitman 2 dolu dolu içeriği ile satın almaya değecek bir yapım olarak ön plana çıkıyor. 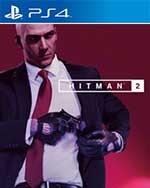 Hitman 2 is meer van hetzelfde geworden. En dat is absoluut een goede zaak. Hitman 2016 was één van mijn meest gespeelde titels de afgelopen twee jaren en hoewel Hitman 2 net iets minder sterk uitpakt qua locaties dan zijn voorganger heeft IO Interactive erop toegezien dat je ook dit keer vele tientallen uren plezier kunt hebben in het zo creatief mogelijk mensen over de kling te jagen. W skórze Agenta 47 spędziłem w ciągu ostatnich kilku dni około trzydziestu godzin, przechodząc całą kampanię fabularną Hitmana 2, testując dodatkowe tryby zabawy, wykonując wszystkie zlecenia w Hawke’s Bay oraz dogłębnie poznając sekrety misji w Whittleton Creek. Jestem wielkim fanem restartu cyklu z 2016 roku – tytułowi temu poświęciłem już grubo ponad sto godzin i regularnie weń pogrywałem, gdy w moje ręce trafiła kontynuacja.